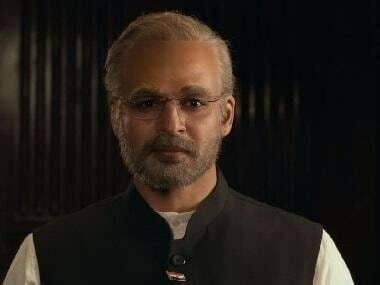 Bollywood actor Vivek Oberoi, who will soon portray the titular role in the upcoming biopic PM Narendra Modi, defended the neutral stance of the film stating that why people were “overreacting” to the biopic. While the makers are all set to release the film on Friday, there are people saying that the release of the biopic ahead of Lok Sabha polls is deliberate and accused it of being propaganda. "Why is the opposition afraid, what are they afraid of? I think they fear chowkidar ka danda (security guard's wooden stick)," Oberoi told Asian News International. Ever since BJP kick-started its 'Main bhi chowkidar' campaign ahead of the upcoming Lok Sabha elections, 'chowkidar' has become a part of political discussions. Commenting on the criticism, Vivek said, "Such big lawyers like Abhishek Manu Singhvi is wasting so much of time on a small film. We are filmmakers, we are not used to these courts and like you have Freedom of Expression, we as filmmakers have the freedom to make films on any subject and release anytime (sic)." 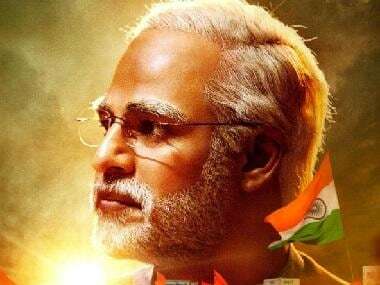 The film, which follows Prime Minister Modi from his humble beginnings to his years as the Chief Minister of Gujarat and finally his landmark victory catapulting him as the Prime Minister, recently came under the Election Commission (EC) scanner after Congress and Left parties complained to the poll body saying that it violates the Model Code of Conduct. However, in a major relief to the makers of the biopic, the Bombay High Court on Monday rejected the Public Interest Litigation. Vivek, who has earlier campaigned for the Bharatiya Janata Party (BJP) in the Uttar Pradesh elections, said he doesn't belong to any political party and his film is apolitical and not a propaganda vehicle as accused by the opposition. "This film is an inspirational story, it's not funded by anyone, proper documentation has been submitted. Allegations can be made on anyone, where is the proof?," the actor asked during an interview to India Today. Asserting that the movie is not funded by any political party, Oberoi mentioned that the film is an inspirational story of a chai wala (tea vendor) in Vadnagar rising to great heights without having the backing of a big family, English education and resources.